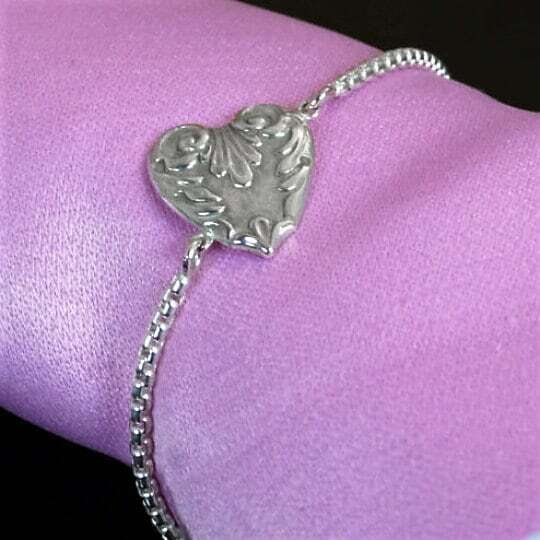 Why get something everyone else has This classic bracelet (see all 5 photos) includes a solid silver heart made with an antique die, and beautiful and durable adjustable rounded box chain. I include free engraving. 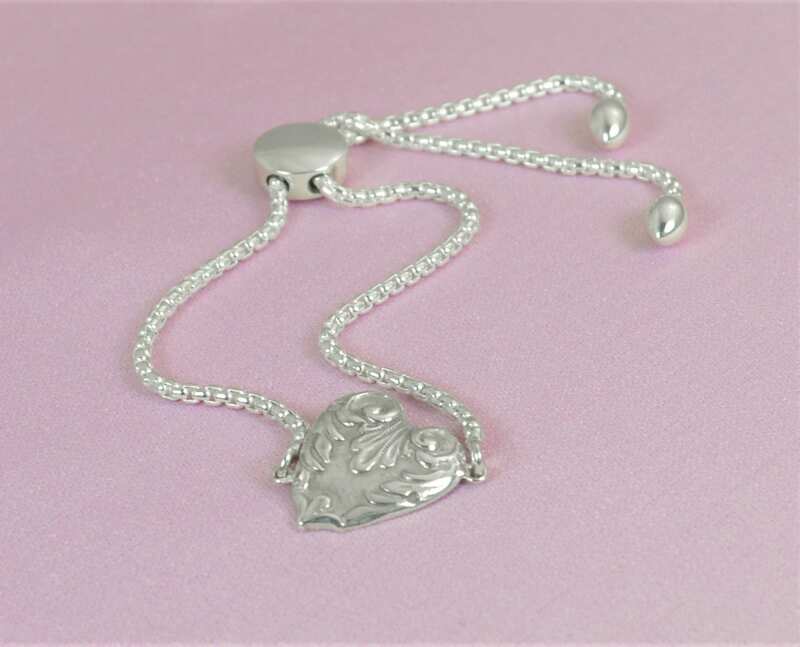 - Delicate handmade solid silver heart is attached to the chain slightly on the diagonal for a unconventional beautiful look. - Adjustable rounded box chain. This is the perfect classic gift for wifes, daughters, bridesmaids, mother-in-laws, or any woman in your life. 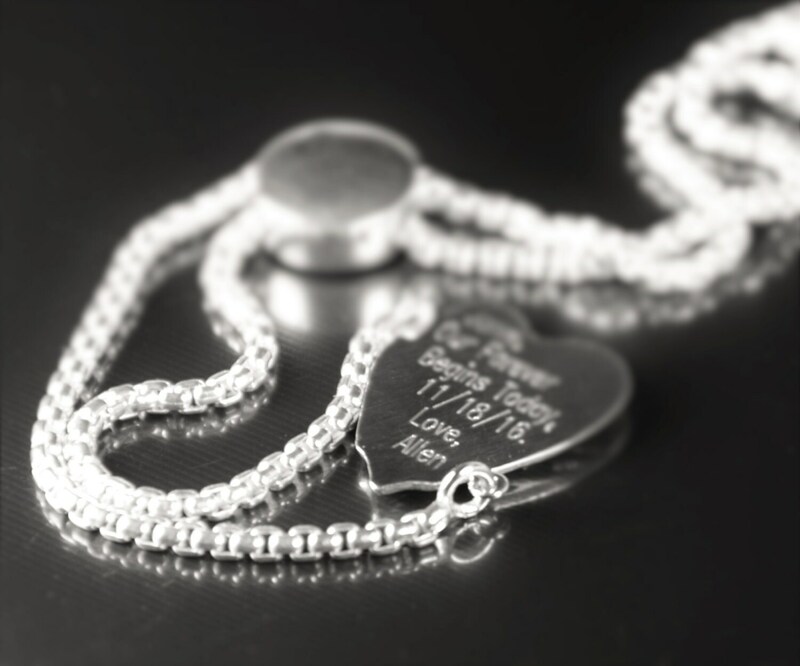 Please let me know what free engraving you want on the back of the heart in the "note to seller box" when you checkout. 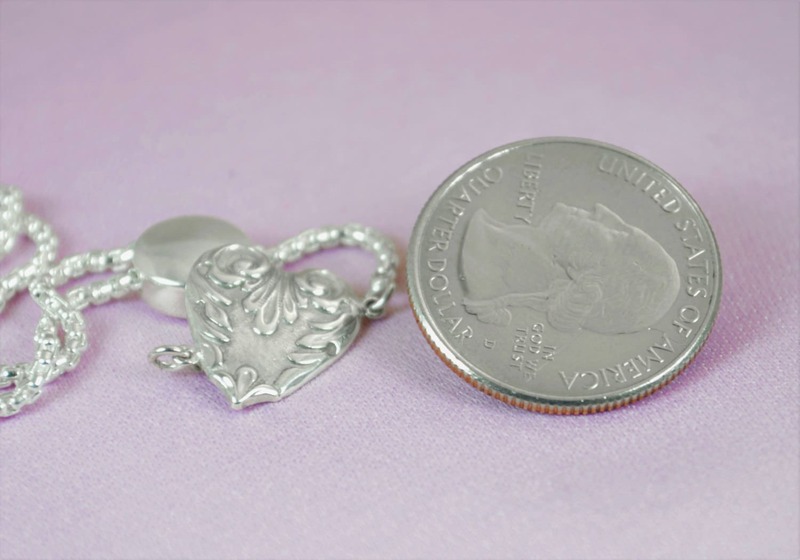 • The heart is 5/8" tall, 1/2" wide and about 3mm thick. 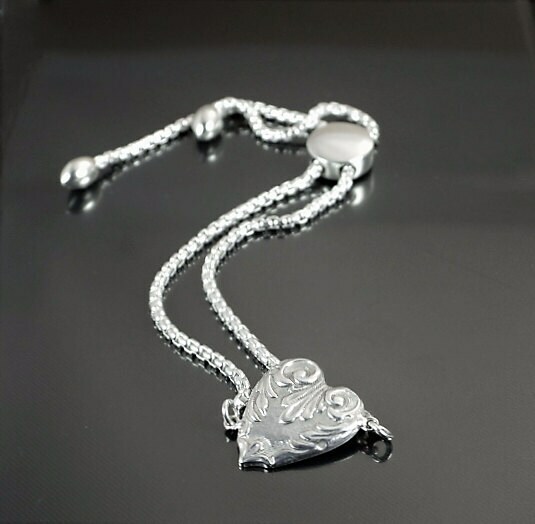 • The chain and heart together will be around 9g of silver. • Each heart bracelet will be individually unique. Excellent product. Amazing customer service. Received this very pretty and dainty bracelet for a friend. It is lovely and very feminine. The engraving is small and my eyes are very bad, but it's not for me, it's a gift. Packed very well, excellent condition and great shipping. Included a black velvet jewelry bag. Very nice presentation. Have dealt with Michael before and he is so helpful. Highly recommend! Great vendor!